During the last 90+ years, folks from far and near have visited Seesaw’s making memories and a trail of history all of which contributes to what we term “Seesaw’s Lore”. Below are just some of the facts and tidbits that we picked up along the way. Johnny Seesaw’s was actually named after Kyrill Sessof who was born in Werkali in Minsk, Russia in 1887. On April 3rd, 1913, Kyrill Sessof arrived at Ellis Island where he changed his name to John Sesow. John Sesow at age 33, married Vinnie, a woman from Bondville, VT, who was sixteen (although it is rumored that she was actually 14). Vinnie was a bootlegger and people came from far and near during prohibition to taste her product, which purportedly was clear moonshine that she had bought and added burnt sugar to create the desired color and flavor. John Sesow bought the Seesaw’s property for $300 in 1924; later to be bought by the Parrish and deSchweinitz families in 1938 for $1,800. The original Seesaw’s structure built in 1924 was called the WonderView Log Pavilion. It was constructed by hand with no power tools, modeled after an old Russian wood structure called an Izba that tended to use no nails during construction. 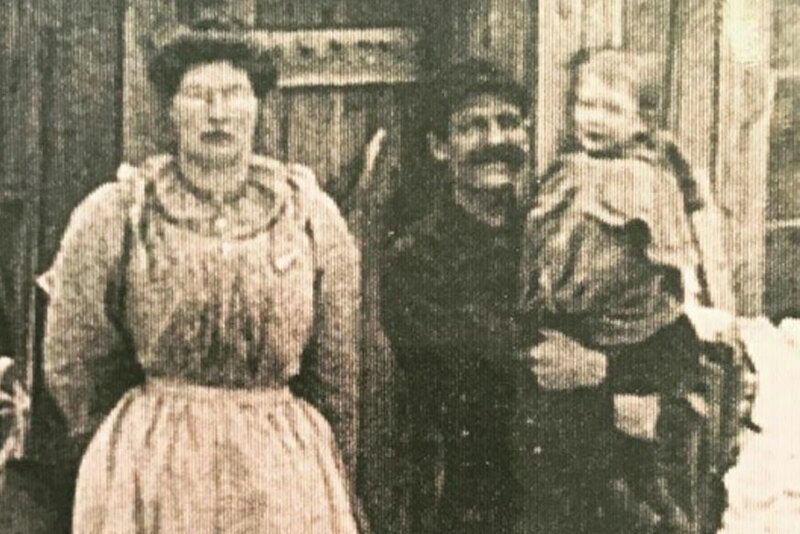 John Sesow had 10 children, seven of which were born within the annex of the WonderView Log Pavillon. 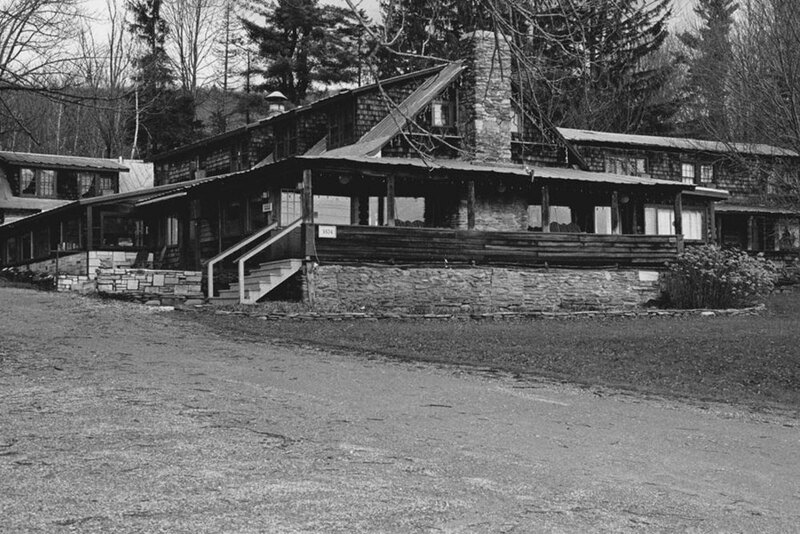 The newly formulated inn and restaurant Johnny Seesaw’s opened on December 26th, 1938 with 60 beds in bunk rooms throughout the lodge. By New Year’s Eve (six days later), word had spread throughout the Northeast and Johnny Seesaw’s had requests for 200 reservations, 140 of which they had to turn away. In the first year of operation, “a bunk, a big breakfast, box lunch and bountiful dinner cost $3.50 per day” which was the same amount for a lift ticket to the rope tow up East Meadow. 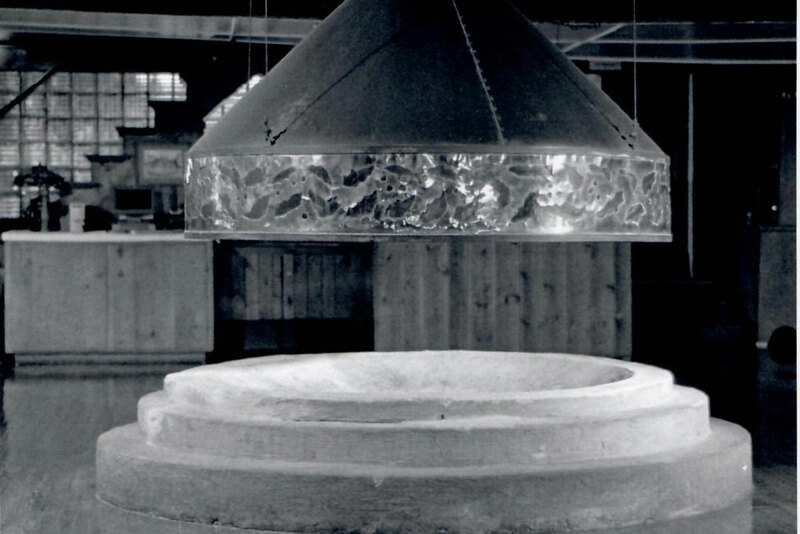 The inspiration for the internal circular fireplace was from the Grand Lake Lodge in Colorado visited by Bill Parish in the 1920’s. What makes Seesaw’s, well, Seesaw's? An upright piano from Mary Parrish’s home in Dorset was brought to the property and painted a “vivid blue” and was used for entertaining at the end of the Seducerie. 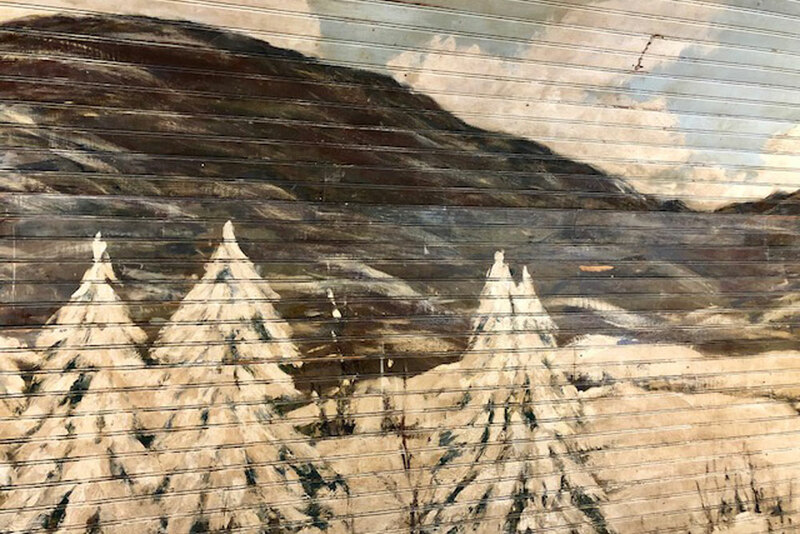 The mural in the Seducerie was reportedly painted to brighten things up and provide an escape in the WWII era. It is said that in the late ’30s a group of Seesaw’s patrons cooked up a plan to launch the National Ski Patrol System, amongst them Charles Minot “Minnie” Dole, the organization’s first president. Seesaw’s also lays claim to being where the idea to form the U.S. Army Tenth Mountain Division (ski troops specially trained for winter combat in alpine conditions) was established, again thanks to Dole who lobbied the U.S. War Department in ’39. 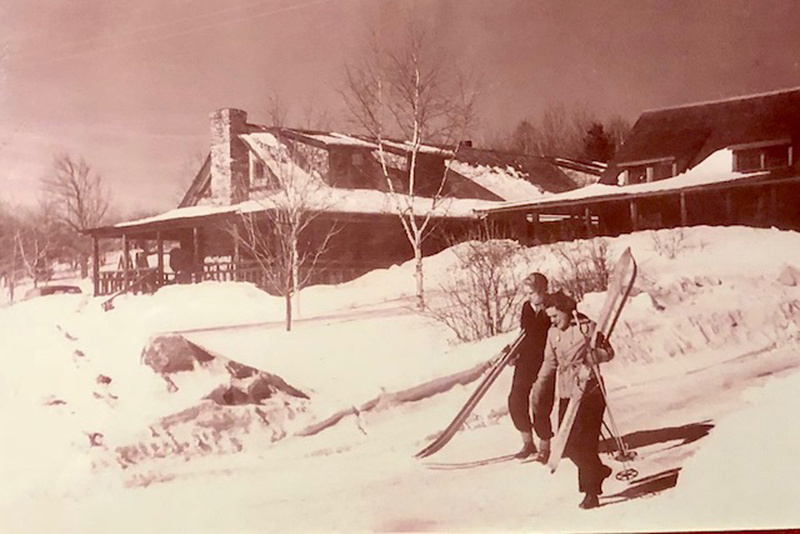 Patrons could ski from the Bromley trails down to Johnny Seesaw’s at days end on a run known as the “Cow Goose Schuss” so called after one fellow had to duck and ski right under a heifer from the Best Farm, straddling the narrow track. The heifer headed for the woods and the skier for the bar! In 2008, with 90 years of history, the property was officially designated the “Johnny Seesaw’s Historic District”. 2019 Seesaw's Lodge. All rights reserved.